An exceptional dining experience isn’t just about the food, it’s about sitting down at a table that feels like home, served by people who feel like family. 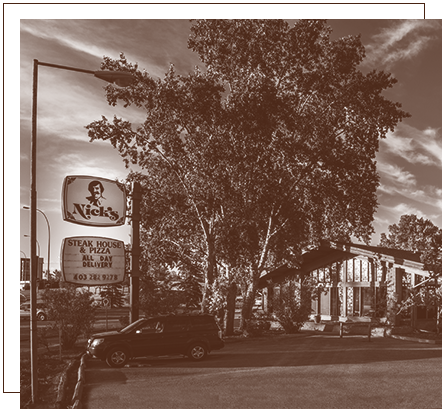 The Petros family opened Nick’s Steakhouse in 1979 with the simple goal of making every customer feel like part of their family. Discover more about what makes Nick’s so special, from our involvement in the local community, to the generations of families who visit us, and, of course, to our love of football. Four decades of tradition and one very important book of tried-and-true recipes ensure that our healthy, hearty, and locally-sourced meals are consistently delicious. We may be famous for our unbeatable steak and pizza, but our menu has something to please everyone! So, nothing to worry about for younger or more particular eaters – nobody leaves Nick’s hungry. Plenty of room for families! Nick’s has the capacity, the reputation, and the quality to make your next holiday party a home-run. We offer large group reservations and exceptional service even when ALL the relatives show up. Calgary’s #1 Choice to Watch The Football Game! At Nick’s, we live and breathe football! 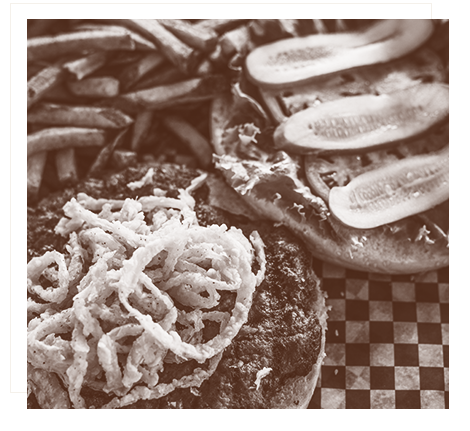 Stop by with friends and family for an outstanding pre-game meal, or come by for post-game celebrations! We have perfect game-time snacks and a wide selection of beer and cocktails to wash them down. Join us for the game! Bring Nick’s to Your Next Event! Proud recipient for 13 consecutive years of the Consumer Choice Award for the best steakhouse in southern Alberta. Voted top steakhouse in Calgary by Top Choice Award in 2018. Earned a 2017 Certificate of Excellence from TripAdvisor. "Family favorite for years. Pizza is always good, Greek side salad as large as other restaurant main salads." "Best comfort food in the city! Nicks was an exceptional experience." "Great food, great staff highly recommend for families looking for a good steak." "Honestly one of my favorite restaurants in Calgary. Friendly service, delicious food, and good atmosphere."